Day 1 in Thailand was spent in Bangkok. Since I didn't have a lot of time to roam around and figure the streets out, I asked my friend Angel, who has spent a portion of her life living in Thailand, about where to go if I only had a day in Bangkok. She recommended Terminal 21. 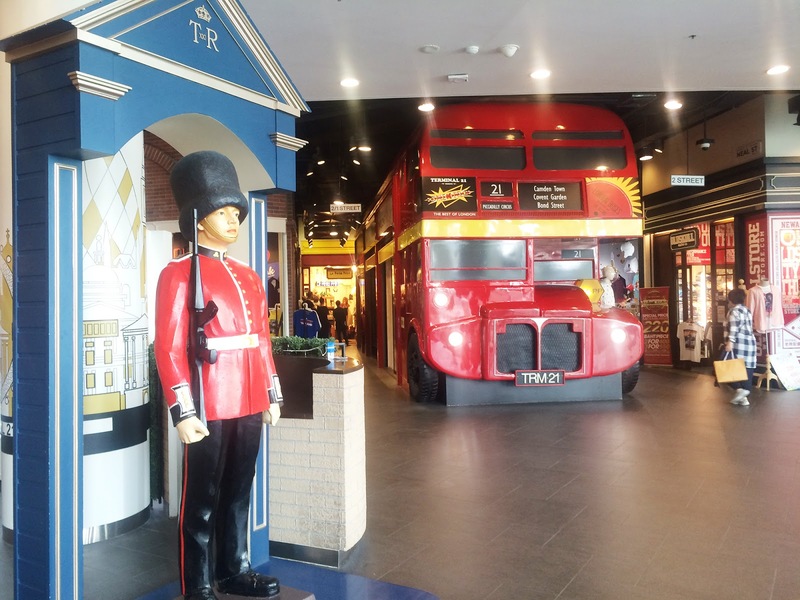 Terminal 21 is a shopping mall in Bangkok with a large number of privately owned shops, different from other malls that have your typical brand named chain stores. Majority of the stores you can find there are quite different from one another. Made to feel as if you are roaming around the airport, each floor of Terminal 21 is designed to look like a certain city. It's really cute! Even the shops fit the theme of the floor they're on. You'll be taken to Carribean, Rome, Paris, Tokyo, London, Istanbul, San Francisco, and Los Angeles. It may just be "another shopping mall" to some, and quite honestly, I didn't go there to shop, but I was very entertained just going around the mall. After about an hour and a half of roaming around, I sat down at one of the many coffee shops they had and started to work on my laptop (because yes, I still have to work while on vacation LOL). So if you have a couple of hours free time in Bangkok, this is one of the malls you can go to. Going to Terminal 21 is quite easy as they are connected to the Asok BTS Station. From our hotel in Ramkhamhaeng, I took the Airport Link to Phaya Thai Station for 25THB. Then, I had to change train lines to BTS (Skytrain), going from Phaya Thai to Asok Station for 34THB. Their railway system is quite easy to understand and is organized, so I doubt you can ever get lost unless you really don't know where you're going. We spent most of our Thailand trip in Phuket staying at a relative's house, so that was actually all I did in Bangkok. Hopefully, I'll have another chance to visit and stay longer. Such a nice place is this. Thanks! so stylish, your posts and blog....Bravo Megann!